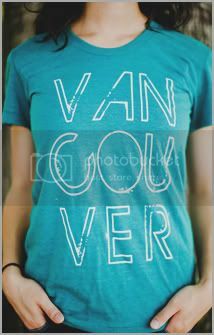 Vancouver, we love you [the t-shirt project] is a locally run organization that promotes a love and pride for our city. We want YOUR non-profit, school, club, sports team, church, or community group to be involved in our Community Fundraising Program and earn money for your organization from our unique project. It’s easy and risk free. With no effort at all you can raise money from every t-shirt sale your organization facilitates. NO RISK Fundraising Program: Our Fundraising Program is designed for organizations looking to take on a no risk commitment and earn hassle free revenue for their organization or fundraising event. The process is simple. We meet with you to discuss your organization’s fundraising plans and create a discounted shirt pricing structure tailored to your goals. We provide you with information material about our project and an order form to take back to your organization to collect t-shirt orders from your members and supporters. You set the price you want to sell the shirts for. You return the order form with payment (keeping all additional profits for your organization), and we deliver the shirts to you to distribute. Your organization raises money, and your supporters walk away with an awesome shirt! We are committed to help make your fundraiser a success, providing assistance and supporting your marketing efforts. We will work with your organization to maximize your fundraising initiative through social media, direct email, & our partner’s networks. Who can participate in the VWLY Community Fundraising Program? Any school, club, sports team, church, non-profit, community group, or group of people that want a fun way to raise some money for their favourite charity or non-profit. Businesses that want to use the program to fundraise for a non-profit their company supports can also participate. This program is also great for groups traveling overseas together to raise money for their trip and get cool matching shirts. The money can go towards your own organization (ie, for a sports team trip or new equipment) or you can use this program to help fundraise for a cause that your group supports. You can also use this program to help raise money for the organization we're closest to, Covenant House. Does it cost us anything to be involved? How much money can my group earn by being involved? It really depends on how much you decide to sell the shirts for, and how many you sell. We'll be safe and say anywhere between a few hundred to millions of dollars. We believe that doing good doesn't have to be boring. Why not use our stylish shirts to help raise money for worthy causes? People can donate their money where it will do good and they get an awesome shirt as part of the deal! 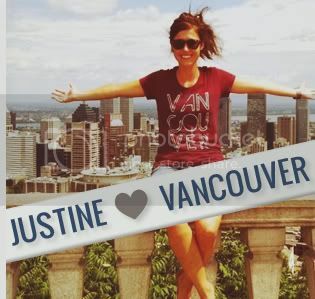 Do people get a tax receipt from Vancouver, we love you for donating? No, sadly they don't. But they get a sweet shirt! 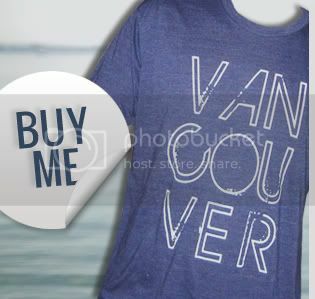 Does Vancouver, we love you still donate 10% from all shirts sold through this program? 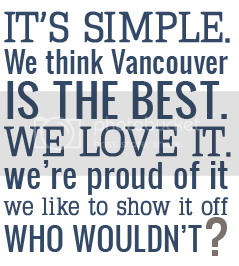 You better believe we do! The 'doing good' doesn't stop with your organization! This is a brilliant idea. How can my organization participate?